Hello and welcome. 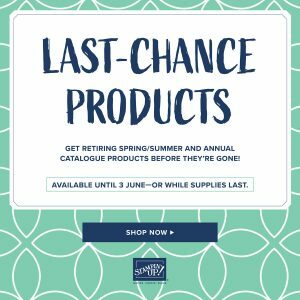 The retirement lists’ for the Annual and Spring/ Summer catalogues have been released. Available until 3rd June or whilst stocks last so be quick if you have a wish list as I wouldn’t want you to miss out. If You are looking for a demonstrator I would love to help. If you have any questions then please contact me.